Ok, while I may have just been put myself in the running for most laboured pun of 2011, it has been done with the best of intentions. As the Olympics loom into view, it finally appears that the country is kicking into gear and putting together an impressive programme that will deliver on some of things that we undoubtedly do best (and no, sadly it isn’t the 100m). It may be somewhat predictable but it certainly looks like the UK are planning to cash in one of their most lasting assets – Shakespeare. And in a fine display of collaboration, venues as dispirate as the Globe, the Barbican, the Roundhouse and the Hammersmith Riverside Studios are embarking on a truly Olympean programming schedule. The Globe alone will be performing every single one of the agreed Shakespeare canon (and on a sidenote for Mr Emmerich, please note that it is the World Shakespeare Festival, not the World Earl of Oxford Festival). And in keeping with the Olympian spirit, the programmers have scoured the world to bring a truly international flavour to the festival. Whether it is a Tunisian Macbeth, an Afghan Comedy of Errors or a Zimbabwean Two Gentleman of Verona, there is something to suit any palette and demonstrates just how important Shakespeare is to the world of theatre. It underscores that Shakespeare, a playwright occasionally derided my philistines as being too complex for modern audiences, can operate in any language, subject to incredibly varied styles and still emerge as the single most important dramatist in history. And the philistines? To quote the great man himself “More of your conversation will infect my brain”, and if a country in as much turmoil as Afghanistan can stage a complex identity-swapping play like the Comedy of Errors, I think it is surely not to much to expect an audience to watch it. It is generally regarded as one of Shakespeare’s most difficult plays. After a first half that generally cracks alone and builds to a crescendo with Timon turning on those he had previously regarded as his friends and retreating to be a hermit on the outskirts of the city, the second half really does present a problem for a director – it consisting mainly of scene after scene of visitors and a more and more unpleasant Timon. 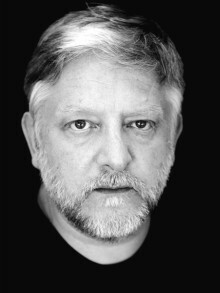 However it is this challenge which means it makes the list – Simon Russell Beale is one our finest current Shakespearian actors and if he can’t do justice to the part then it may go down as one of Shakespeare’s very few missteps. A chance to catch something really special. This Afghanistan company performed Love’s Labour’s Lost in 2005; the groundbreaking nature of this shouldn’t be overstated. In a country that was ruled a few years previously by the Taliban and drama completely forbidden, we had reached a point where men and women were able to act together. Along the way many taboos were broken; women did not always wear headscarves and lovers held hands. 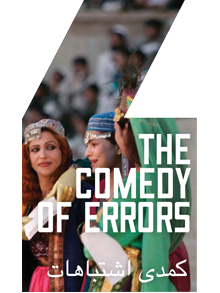 The Globe has managed to get their first performances outside of Kabul and they will be putting on The Comedy of Errors, a play of mistaken identifies and farcical situations. The results could be as spectacular as they are interesting. Now if anything deserves the title unmissable it is probably this production from the legendary Lithuanian director Eimuntas Nekrosius. 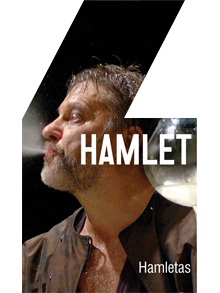 His Hamlet is regarded as one of the most celebrated Shakespearean productions of our age and for the first time, after substantial world tours, it comes to London for the first time. Yes, it is Hamlet and it will be 3 hours and it will be in Lithuanian and it is the Globe and you may have to stand up. But there are times when you must suffer for your art and, due to the rather Anglo-american focus of most British theatre, this offers a rare chance to see one of the true greats of European theatre. Simply: go, see. Yes, I know there are two Hamlet’s in the list and many people think that one is more than enough for one year. However given that it is a dreamthinkspeak production, it is quite likely that this will be Hamlet only in so far Kate Bush’s Wuthering Heights is an accurate depiction of Bronte’s novel. We are promised a textual and visual deconstruction of the play, which will utilise performance, film and installation to cut through the textual certainties that we may be used to. For some this may already sound hideously prententious and, given their reviews of Ian Rickson’s latest Hamlet at the Young Vic, it is unlikely Messirs Billington and Spencer will be rushing to see it. 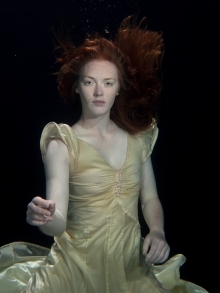 For those who remain alive to the possibilities that modern multimedia presents to a playwright of Shakespeare’s calibre, it also can be seen as an exciting opportunity. And deservedly back to the Globe for no. 5. Providing the spine for the festival and dedicating their versatile space to companies from around the world across May and June, hopefully they will get the audience and publicity they deserve for this ambitious and difficult project. 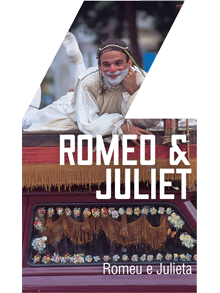 An almost guaranteed sell-out – a Brazilian Romeo & Juliet at the height of summer should be a winner. The production is regarded as one of the most famous productions coming out of the Americas’. Grupo Galpão’s brings a carnival atmosphere to the Globe; mixing circus, dance and musicc with traditional Brazilian folk culture to produce something incredibly special. We are talking passion with a capital P.